Systema is a Martial Art taught in Russia. The training includes hand to hand combat, knife fighting, and ground fighting or grappling, along with breath work and fluid movement. ﻿How you will train in Systema? You will be trained in exercises that restore your health so you can be the most proficient martial artist possible. Vladimir Vasiliev once said, “Systema has 3 levels. First the healing, then the health, then the martial.” When the body and mind are healthy through the use of breathing, movement, and exercises that train the psyche to be calm then the martial component to the training comes naturally. You will be trained in hand-to-hand combat. You will study all aspects of unarmed hand-to-hand combat including a multitude of fascinating drills and ideas, ways to develop endurance, sensitivity, striking power, unique use of the body for defense and attack, and total control of any empty-hand attack with emphasis on breathing, continuity, economy of motion, and unpredictable moves. You will be trained in ground fighting. You will learn how to move on the ground in an effortless way that is free from unnecessary tension and allows you to be extremely powerful in very compromising positions. Unique strategies to overcome any conceivable attack from all angles and positions, defeat multiple attackers and disarm weapons - all from the ground. Learn how to fight from the ground unarmed against one or more opponents who try to grab, choke, kick and punch you, stab you with knives, immobilize your limbs, have you mounted and apply other forms of attack. Learn the tactics to develop breathing, avoid injuries, optimize your body and strengthen your psyche. From basic form and movement progress to the exceptional dynamic free-flow drills, unlock your ultimate potential and free yourself from the worst opponents - fear and tension. You will be trained in how to use and disarm weapons. Unique use and defense against a knife, stick, or a gun. Learn to gain complete control of single or multiple armed attackers. Master both the fundamental and advanced tactics while empty-handed or armed yourself. Explore the incredible ways of turning common items in your surrounding into highly effective tools of protection. Learn to conquer not just dangerous weapons, but even greater threats: your own stiffness, vulnerability and fear. Specialized military exercises enable you to achieve complete physical warm-up and energy balance in just a few minutes. Previously known to Russia's secret groups only, these exercises will not only give you strength, flexibility and endurance, but also a high level of awareness and confidence. Combined with one of a kind Russian Breath Training, these exercises provide the true foundation for every physical activity of your life. 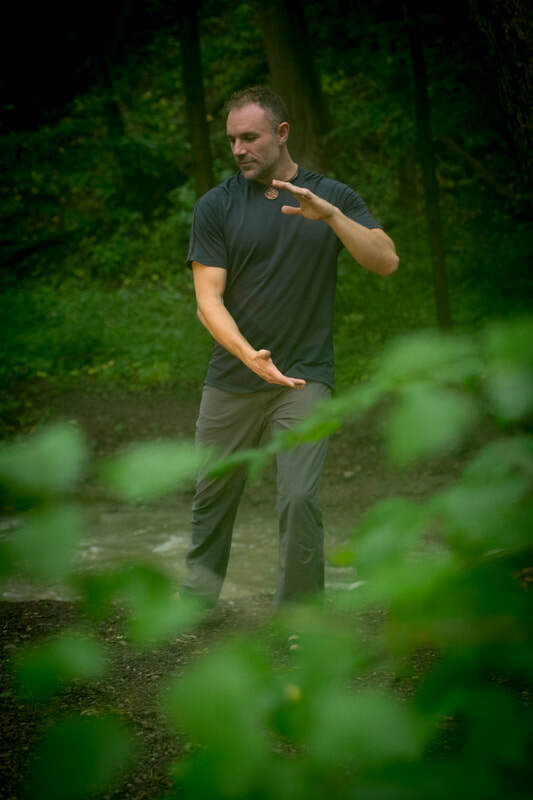 I have studied many martial arts throughout the last 21 years and have achieved a high level of proficiency in many of them but when I encountered Systema my view on martial arts was transformed. Not to take anything away from the beauty and power of the other martial arts that I have studied. 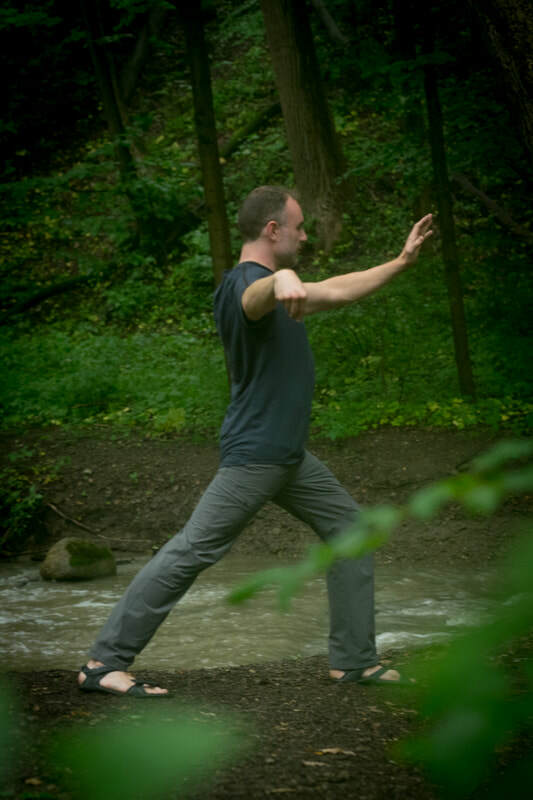 I feel very blessed to have studied with amazing teachers in Goshin JuJitsu, Shaui Chiao, Hsing I, Tai Chi, Kali, etc….and am forever grateful for all that I have learned through these arts. So why do I spend all my energy now on Systema? Well first of all the skill level of the Systema practitioners I have encountered is the best I have ever witnessed and it was so effortless that it just blew me away. I’ve seen great martial artists throughout the years but after being exposed to Vladimir Vasiliev and some of his high level senior instructors I knew I had found something that I needed to explore and eventually teach. The art is rooted in four main principles: breath(or in my opinion breath mastery to control the body and psyche), relaxation(to achieve earth shattering power with little or no effort), posture(to always be aligned and in a position of effortless strength, grace, and power), and finally movement(which is related to internal and external movement).Everything we do in Systema is a product of the above principles and is what makes Systema something that can just about take on the form of looking like other martial arts at times but that does not train in the same rigid manner as most of them. You can train in Systema your whole life. Other martial arts although effective often deteriorate the body over time and are not grounded in creating health first and foremost. Throughout the history of this huge country, Russia had to repel invaders from the north, south, east, and west. All attackers brought their distinct styles of combat and weaponry. The battles took place on different terrain, during freezing winters and sweltering summer heat alike, with the Russians often greatly outnumbered by the enemy forces. As a result of these factors, the Russian warriors acquired a style that combined strong spirit with extremely innovative and versatile tactics that were at the same time practical, deadly, and effective against any type of enemy under any circumstances. The style was natural and free while having no strict rules, rigid structure or limitations (except for moral ones). All tactics were based on instinctive reactions, individual strengths and characteristics, specifically designed for fast learning.When the Communists came to power in 1917, they suppressed all national traditions. Those practicing the old style of fighting could be severely punished. At the same time, the authorities quickly realized how viable and devastating the original combat system was and reserved it just for a few Special Operations Units. In our school, you will learn this fascinating style and see for yourself why Russian Systema is said to open a new page in the world of martial arts. 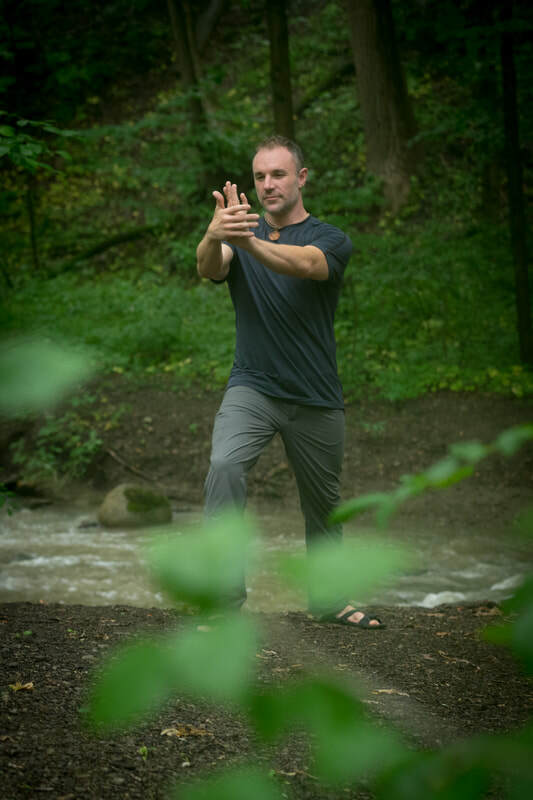 SYSTEMA is a complete set of concepts and training components that enhance one’s life. In this case, acquiring the martial art skill is a way to improve the function of all seven physiological systems of the body and all three levels of human abilities the physical, the psychological and the spiritual. In Systema, the synergy of these three components creates a TRUE WARRIOR - Combat Skill, Strong Spirit and Healthy Body. The body has to be free of tension, filled with endurance, flexibility, effortless movement and explosive potential. The spirit or psychological state has to be calm, free of anger, irritation, fear, self-pity, delusion and pride. The key principle of the Russian Systema is non-destruction. The goal is to make sure that your training and your attitudes do no damage to the body or the psyche of you or your partners. Systema is designed to create, build and strengthen your body, your psyche, your family and your country. The combat skill includes movements that are powerful and precise, instant and economical, spontaneous, subtle and diverse, the signature of a true professional. Systema has another name “poznai sebia” or “Know Yourself”. What does it really mean to Understand Yourself? It is not just to know what your strengths and weaknesses are, that is good but fairly superficial. Training in Russian Martial Art is one of the sure ways to see the full extent of our limitations - to see how proud and weak we really are. Systema allows us to gain the true strength of spirit that comes from humility and clarity in seeing the purpose of our life. As the roots of the Russian Systema are in the Russian Orthodox Christian faith, the belief is that everything that happens to us, good or bad, has only one ultimate purpose. That is to create the best possible conditions for each person to understand himself. Proper training in the Russian Systema carries the same objective - to put every participant into the best possible setting for him to realize as much about himself as he is able to handle at any given moment. One of Mikhail Ryabko’s words to the beginners is “Be a good person and everything else will come to you.” In a simple, yet comprehensive way Systema helps you choose and follow the right path. Please note that the content above is taken from www.russianmartialart.com as I feel the description and brief history is imperative in appreciating the depth of the art. $20 Drop-in or $60 per month for Systema classes. Please contact Shaun for more details.